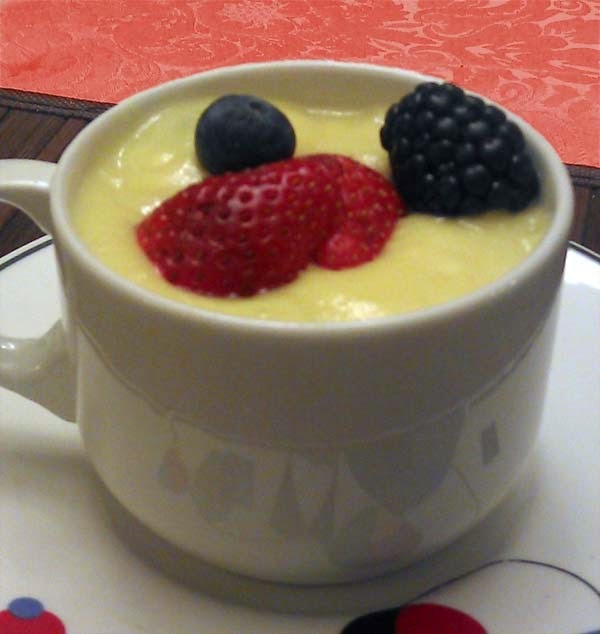 This recipe is a modified version of Alton Brown's Zabaglione recipe with optional fresh berries. Instead of Marsala, Amaretto is used. Also, kosher salt is not used because none were available at the time. Add the egg yolks and sugar to a large glass bowl. Using an electric hand mixer on the highest speed, beat the eggs and sugar until the mixture is thick, pale yellow, and the sugar is completely dissolved, 4 to 5 minutes. Decrease the mixer speed to low and add the Marsala (amaretto was used) and salt (this ingredient was skipped). For more desserts with alcohol, see recipe for Margarita cake with Tequila frosting.